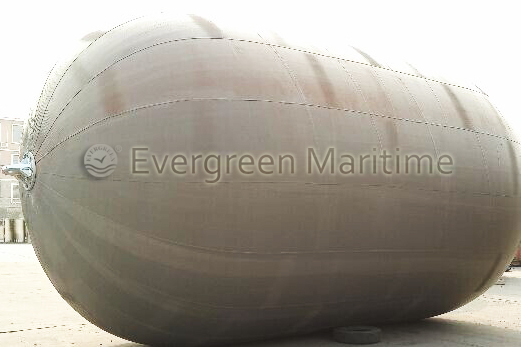 I All of floating pneumatic fenders are produced, vulcanized and tested by Evergreen Maritime which can save a big cost for the fenders itself. II All of the Yokohama type pneumatic rubber fenders are manuafctured strictly as per ISO 17357 which is the international standard for all yokohama fenders. III The pneumatic fenders from Evergreen Maritime is constructed with the imported raw rubber and strongest rubber dipped high breaking strength synthetic cord layers which can ensure a good quality for all global fenders buyers. IV Our fenders are not only better constructed and designed but also smart in craftmanship. All the chains including shoulder chains on the fenders are hot galvanized and coated with rubber sleeves which will prevent seawater corrosion. V The two ends of the rubber fenders all are with unique design which absolutely guarantee the ends safety of the floating rubber fenders when the yokohama fenders are heavily pressed. VI The fenders from Evergreen Maritime are well recognized in the marine industry globally and he has been surving several big clients like DESAN, KEPPEL,SINOPEC,CNOOC,CSSC,NACKS etc.